In 2010, the New York State legislature amended the state’s Domestic Relations Law in a way that effects divorce proceedings in Nassau County or Suffolk County, Long Island, NY courts. The legislature added “Irretrievable Breakdown” as a new grounds for a divorce. Under the statute, an action for divorce can be initiated if the husband and wife relationship has broken down irretrievably for at least six months. Irretrievable Breakdown of the marriage allows for divorce if you and your partner find that you are in fact incompatible, and therefore enables a No-Fault divorce. Because of the Irretrievable Breakdown clause, you do not need to prove wrongdoing on the behalf of your spouse; rather you can unilaterally begin a divorce proceeding so long as the required six-month period has passed. The factors that can be applicable for this type of divorce may range anywhere from personality conflicts, trust issues, financial difficulties, or simply constant fighting. 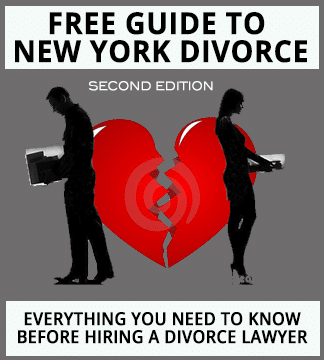 This may be extremely helpful if your situation does not involve abandonment, adultery, your spouse having been imprisoned, or any other specific grounds present in the New York Domestic Relations law. What Must be Alleged to Claim Irretrievable Breakdown on Long Island? In a general action for divorce, New York’s Domestic Relations Law requires the divorcing party to specifically state the type of misconduct alleged, including circumstances, location, and time of any event, but what must be alleged to claim Irretrievable Breakdown on Long Island? Fortunately for those seeking to allege irretrievable breakdown in their divorce proceedings, a recent appellate division decision, Tuper v. Tuper, has shed some light on this. When asserting divorce due to Irretrievable Breakdown, the individual filing for divorce must only show conclusory allegations under oath; there need not be specific accusations, details, or a play-by-play of the breakdown of the marriage. Therefore, when filing for divorce on Long Island, be sure your divorce attorney submits an affidavit in which you have asserted that the husband and wife relationship was broken down irretrievably for at least the required six-month period. Simply stating to your divorce attorney that the marriage has broken down is insufficient: this admission must be done under oath. This is different from asserting a divorce action based upon adultery or cruel and inhumane treatment, where specific facts need to be alleged. Furthermore, your divorce attorney should be aware that divorce based on irretrievable breakdown cannot be granted until all economic and visitation issues have been resolved. This includes not only issues concerning equitable distribution, child and spousal support, fees due to counsel and any expert witnesses, but also those revolving around child custody and/or visitation rights. This is important to recognize and resolve these issues in advance to ensure that your divorce process can be settled as quickly as possible. How Long Do I Have to Commence the Action? Typically, an action for divorce has a statute of limitation of five years, beginning to run either from the date of the complained of incident or the date of discovery, depending upon the grounds for divorce. When filing for divorce based on Irretrievable Breakdown of the marriage, it is difficult to cite an exact moment from which a statute of limitations should begin to run. This is because it is difficult to cite the exact moment of the breakdown of the marriage, which would be the moment at which to start the five-year statute of limitations. Due to this, and the fact that the breakdown is seen as one continuing event, you can bring your Irretrievable Breakdown divorce action at any time after the required six-month period. What if My Spouse Contests the Allegations? As with any other grounds for divorce under New York’s Domestic Relations Law, alleging divorce on the grounds of Irretrievable Breakdown is subject to contest from your partner, and accordingly, a jury trial. If your spouse contests the fact that the marriage had broken down for over six months, it is his or her right to a trial and potentially a jury trial. We know that sometimes marriages do not work, and this is sometimes no one’s fault. If you find yourself in such a situation for at least six-months, and you decide that divorce is the proper route, Irretrievable Breakdown grounds for divorce may be of interest to you. Need More Information About Divorce in Nassau County, Suffolk County on Long Island, NY? The Long Island divorce lawyers and divorce mediators at the law firm of Robert E. Hornberger, Esq., PC have extensive experience with all grounds for divorce in Nassau County and Suffolk County courts. For more information about the best way to settle your divorce, please contact us at 631-923-1910 for a free consultation. You’ll be glad you did.